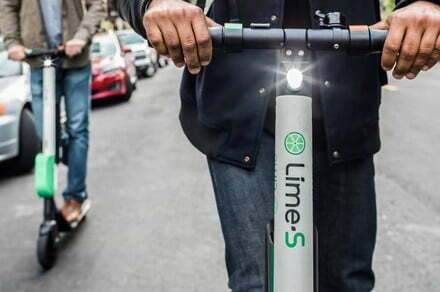 Lime, a major provider of app-based bike and scooter rental services, is spending more than $3 million on a campaign to encourage its users to ride more safely and responsibly. Called Respect the Ride, the effort appears to focus more heavily on scooters and includes: a multi-channel ad campaign reminding riders to wear helmets, abide by local laws, park responsibly, and stay aware of their surroundings when riding; on-the-ground safety ambassadors dedicated to educating local communities about scooter safety; a pledge for riders to sign that encourages better riding practices; and the introduction of a new fleet of electric scooters that feature bigger wheels, dual-wheel braking, and improved suspension. The move comes amid increasing reports of accidents involving riders on electric scooters operated by a number of companies — accidents that sometimes involve pedestrians, too — and at a time when city officials across the country begin to lay down stricter rules in a bid to keep the services in check. San Francisco, for example, recently banned rental scooters from its streets so it could work out a permit system to limit their numbers. So many companies had launched dockless scooter services in the city that the streets started to become cluttered with the two-wheelers, forcing officials to finally take action. Announcing the permits in August, 10 companies were denied, while only two — Scoot and Skip — were accepted. Lime’s pledge, viewable here, encourages users to ride its scooters with greater regard for safety and consideration for other city dwellers. It asks, for example, that riders abide by all traffic laws, keep within designated areas, and park out of the way of pedestrian walkways. The first 25,000 riders to sign the pledge will receive free Lime helmets for their show of support. Over the next six months, the California-based company will also be handing out 250,000 free helmets to its riders around the world. The multi-million-dollar effort suggests that Lime is feeling the heat from regulators and disgruntled community members. With so much competition in the scootersharing space, it knows it has to present the best possible image to be sure of pleasing city officials responsible for dishing out permits. Lime made its name with its app-based bikesharing scheme but earlier this year added electric scooters to its fleet.